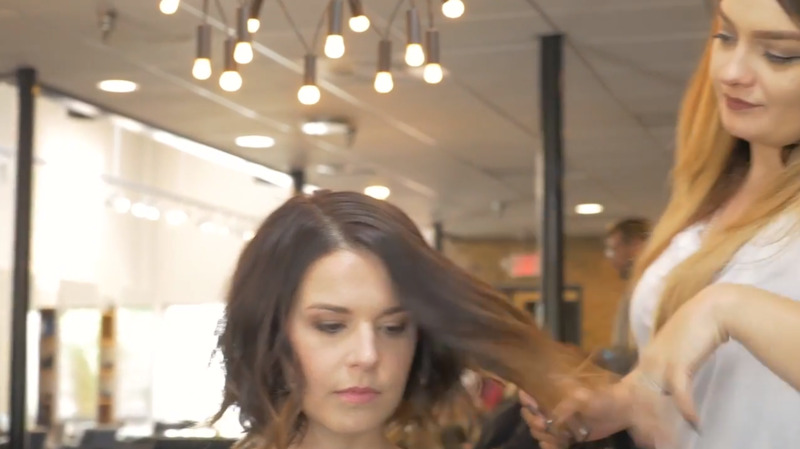 At age 29, medical student Jared Reynolds noticed his hair starting to thin and recede. 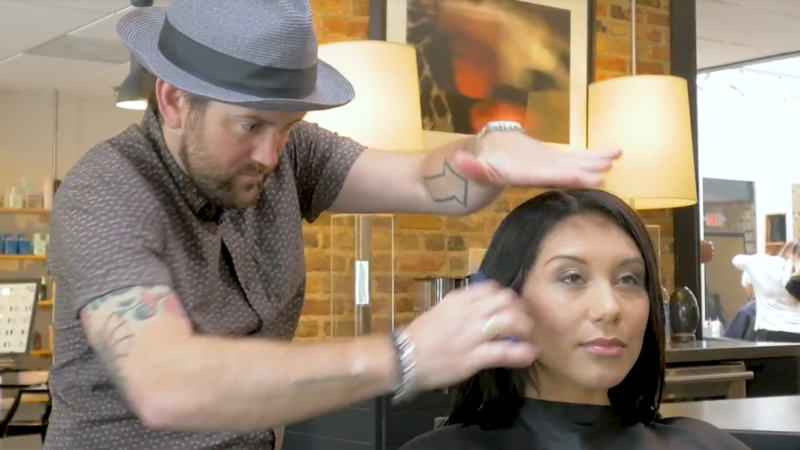 Conventional hair loss products and treatments brought him nothing but disappointments and adverse side effects. As a scientist and aspiring doctor, he decided to put his own head toward finding a new solution. The answer was found in Nutraceutical Science: the study of natural compounds, ingredients and extracts that have pharmaceutical-grade qualities and effects on the body. 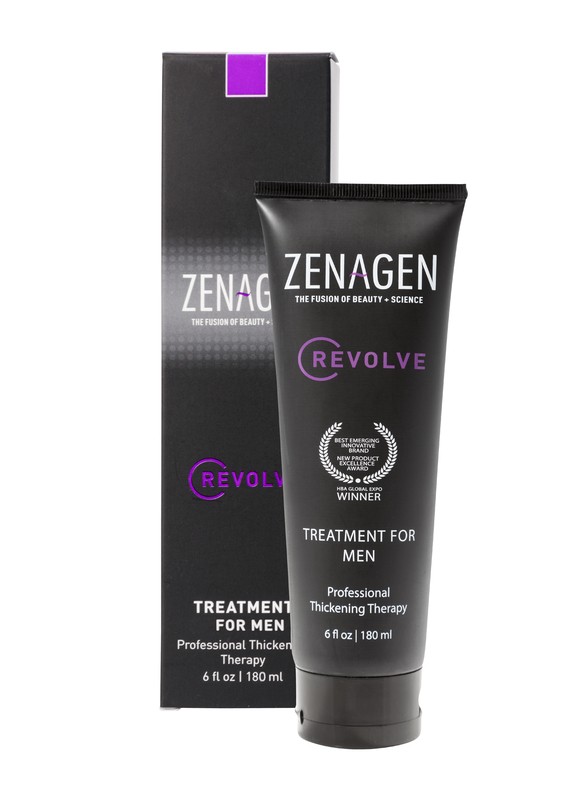 He believed nutraceutical technology was the key to an untapped natural, potent and convenient solution to men and women’s hair loss. 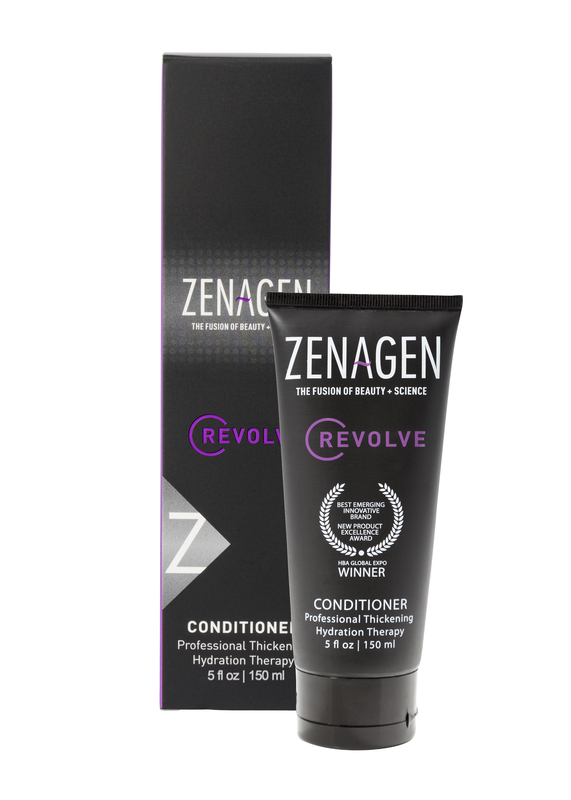 After two years of research and development, Jared arrived at a revolutionary formula: Zenagen! Ready to order? Have a few questions? 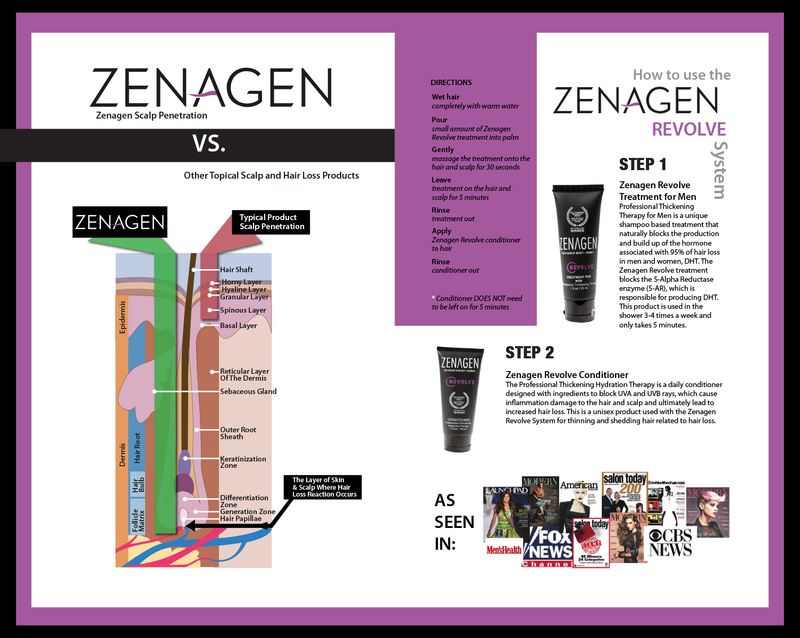 Take the next step and Zenagen could be at your door in just a few days! The "Bling Factor" is our criteria for selecting the partners we offer you. 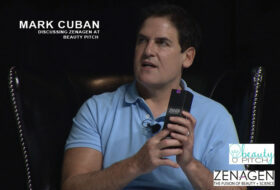 Companies that offer something unique, different, exclusive or groundbreaking. Carefully selected by our team to give you a complete array of products for your business. 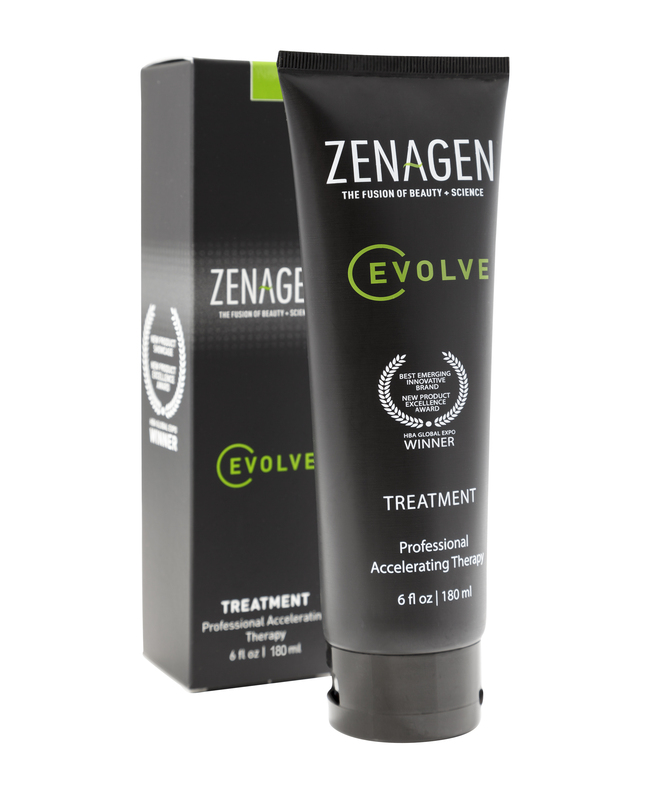 This is a thinning hair system that is PROVEN to work locks the enzyme that causes 95% of hair loss, taking only 5 minutes, 3-4 times a week. Natural compounds, ingredients and extracts that have pharmaceutical-grade qualities and effects on the body. 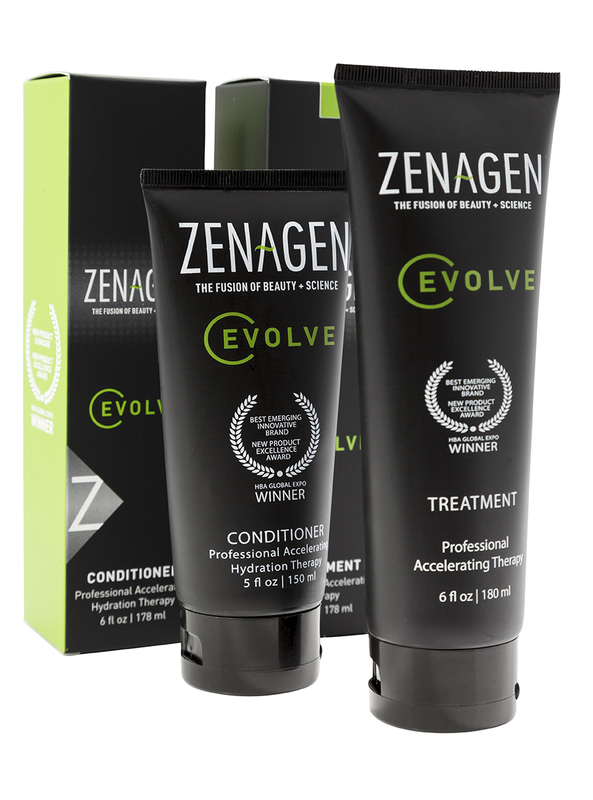 The Evolve System is just a 2 step process that repairs even the worst hair damage & boosts hair growth by up to 40%! 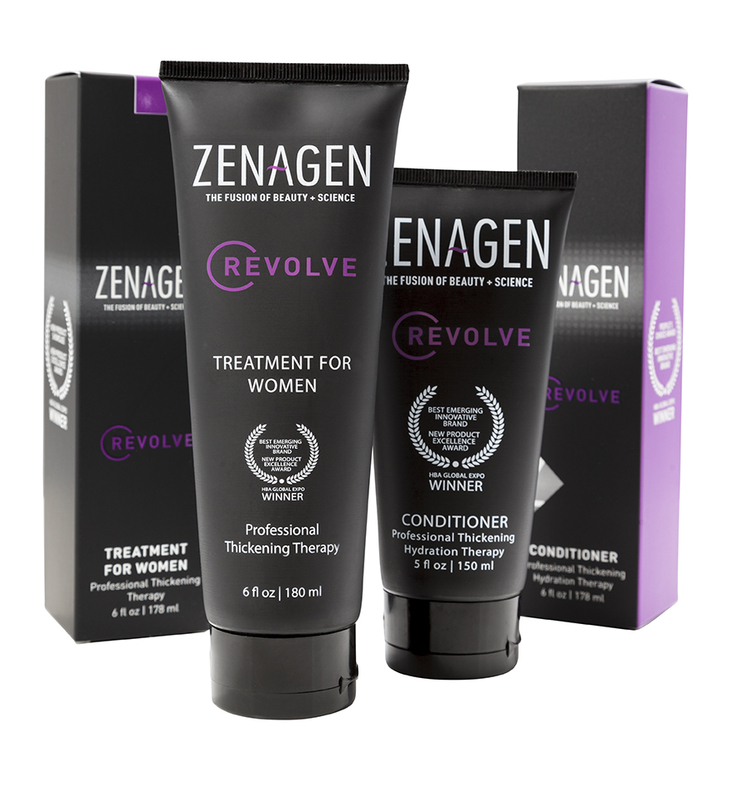 The Zenagen Revolve System is a two step therapy process that uses innovative nutraceutical compounds to thicken and maximize the volume of one’s hair. 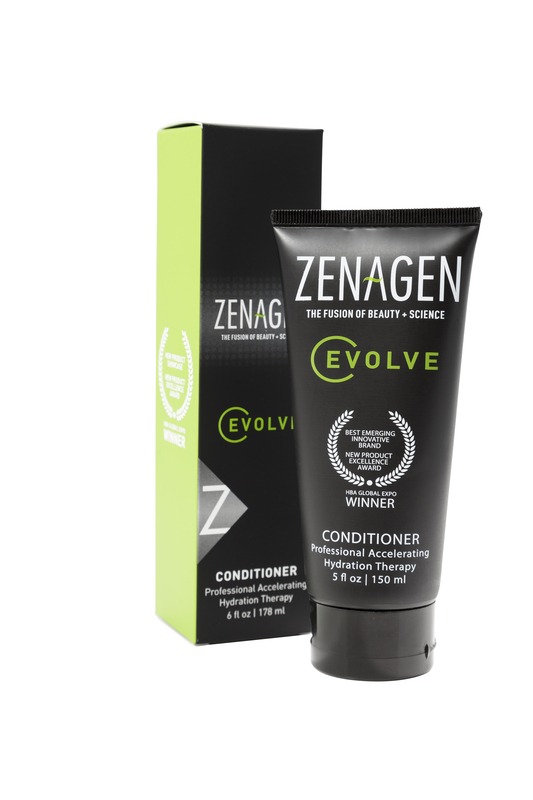 The Zenagen Evolve System is a two step therapy process that uses the latest innovative nutraceutical compounds to repair heat damaged hair and accelerate hair growth up to 40%. 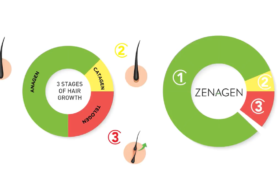 The Zenagen Boost System is a four piece styling product line that uses innovative nutraceutical compounds to add volume, thickness and density to thinning hair, while treating the root cause. 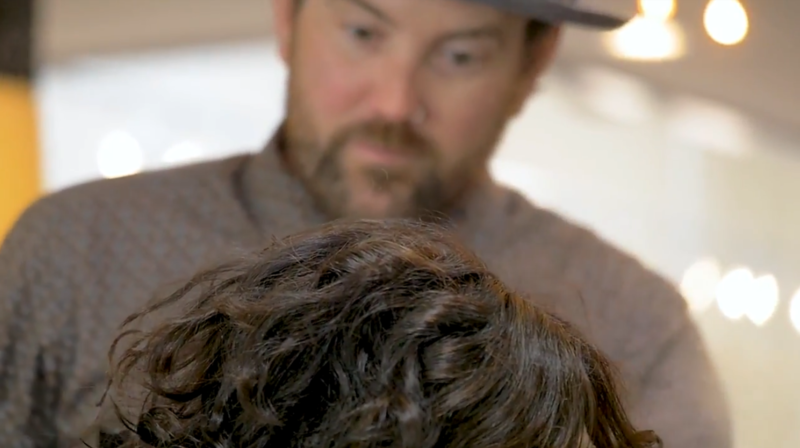 A staggering 95% of male and female pattern baldness is caused by the same hormone: dihydrotestosterone or “DHT.” This androgen compound is created when the elusive enzyme known as 5-Alpha Ruductase (5-AR) attaches an extra hydrogen molecule to testosterone, a naturally occurring hormone in both sexes. 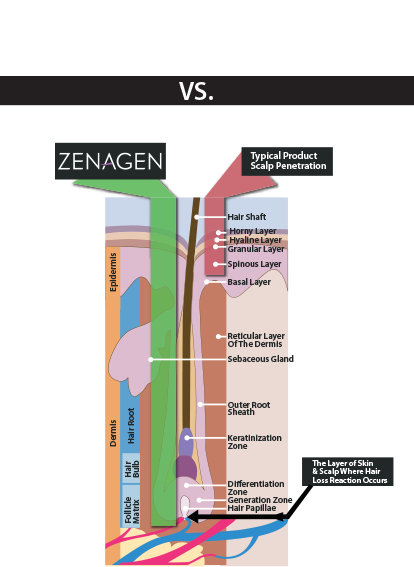 The DHT created by 5-AR builds up at the follicle matrix, shutting off vital blood circulation and causing the hair to wither and die. Vitis Vinifers: Powerful polypeptides from this moisturizing grape vine extract rejuvenate hair follicles and defend against breakage. 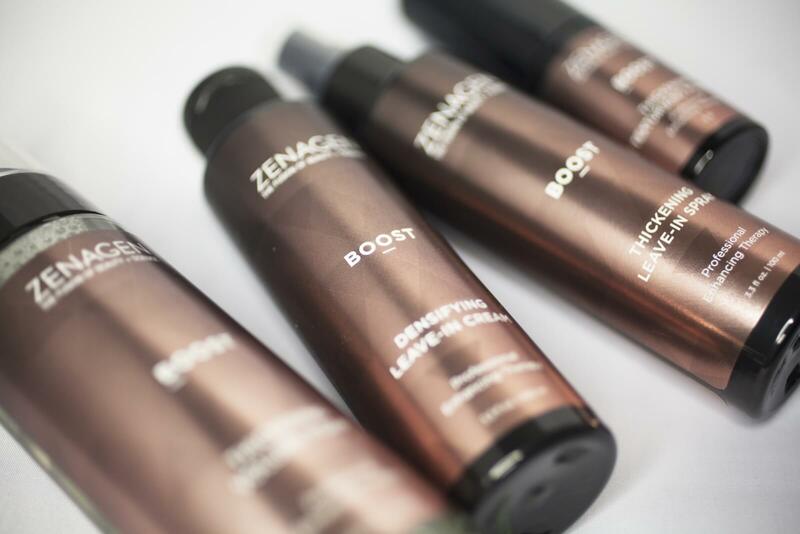 Here's a few of our favorite "must-have's" from Zenagen. Hand picked for you! Call us to learn more.